Dr. Lawrence “Larry” Simon is a native of Lafayette, Louisiana. He is an alumnus of Louisiana State University, and after graduating from LSU, he completed medical school and a residency in Otolaryngology-Head and Neck Surgery at Baylor College of Medicine in Houston, Texas, followed by a fellowship in Pediatric Otolaryngology at Rady Children’s Hospital in San Diego, California. After his training, Larry worked in academic medicine for the LSU Department of Otolaryngology-Head and Neck Surgery for four years, serving as Director of Pediatric Otolaryngology at Children’s Hospital of New Orleans for two of those years. He then worked in private practice for 4 years before assuming the role of Medical Director for Blue Cross and Blue Shield of Louisiana in September 2017. Also, while no longer in full-time academics, Larry remains a stalwart supporter of resident education, and he continues to teach residents as an Assistant Clinical Professor in the LSU Department of Otolaryngology. Larry is a diplomate of the American Board of Otolaryngology-Head and Neck Surgery, a member of the AMA, and a Fellow of the American College of Surgeons, the American Academy of Pediatrics, and the American Academy of Otolaryngic Allergy. He is a nationally recognized authority in the business of medicine and has received awards from the Baylor College of Medicine, the AAO-HNS/F, ASPO, and SENTAC. His areas of expertise are Health Policy/Healthcare reform and Coding/Reimbursement, and he has presented over 130 lectures and seminars on topics such as the CPT/RUC process, correct coding, and the CMS Quality Payment Program. 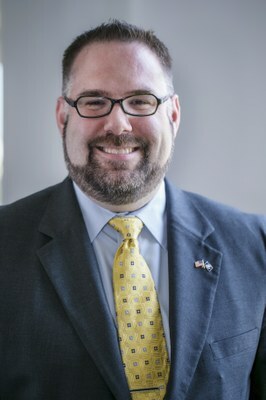 His leadership roles include: sitting on the CPT AssistantEditorial Board and the CPT Editorial Panel of the AMA; serving on the Otolaryngology Advisory Council (AC) and AC Quality Pillar for the American College of Surgeons; and serving the AAO/HNS as a member of the both the Annual Meeting Program Committee and the Practice Management Education Committee. Larry also has a strong sense of civic duty. He is President-Elect of the Rotary Club of Lafayette-North for 2018-2019 (will serve as President in 2019-2020), will chair the Healthcare Campaign of the United Way of Acadiana for 2019-2020, and sits on the Advisory Councils for the LSU Ogden Honors College and the Lafayette Animal Shelter and Care Center. Lastly, he serves on the Board of Directors for Beacon Community Connections and Junior Achievement of Acadiana and is a major donor to both the Acadiana Center for the Arts and the Hilliard University Art Museum at the University of Louisiana.